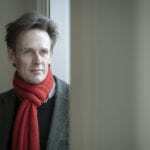 Ian Bostridge has begun the first of his many appearances at this year’s major European Summer Festivals. He commenced with his first visit to the Bachwoche Ansbach, singing Bach Cantata 82 and Britten’s Serenade. This week he travels to the Salzburger Festspiele for the Serenade and for a gala performance of War Requiem with Anna Netrebko, Thomas Hampson and the Orchestra of the Accademia Santa Cecilia, Rome under Sir Antonio Pappano. He then returns to London for the first of his two Prom appearances singing Britten’s Les Illuminations with the London Symphony Orchestra and Daniel Harding. For the Edinburgh International Festival he will appear in a Brahms/Schumann recital with Lars Vogt at the Usher Hall. 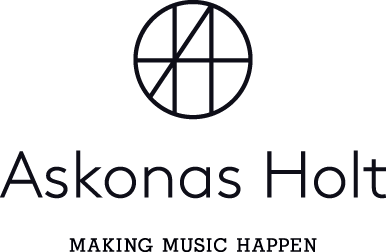 For the Schwarzenberg Schubertiade he sings Schubert/Britten and Ives with Julius Drake and an all-Mahler programme with Dorothea Roeschmann, returning to London for a BBC Chamber Prom at Cadogan Hall – an all-Dowland programme with Elizabeth Kenny and Fretwork. Ian’s autumn is devoted exclusively to celebrations of the Britten Centenary, with featured appearances at the Palais des Beaux Arts, Brussels, Cologne Philharmonie, Berlin Philharmonie, Carnegie Hall, the Moscow Conservatoire, Amsterdam Concertgebouw, Vienna Musikverein and both the Barbican and Royal Festival Hall in London. The autumn will also feature the release of the new EMI recording of War Requiem with the same forces as appear at the Salzburg Festival.